The project will develop theories and practice strategies on how ECE can enable refugee and immigrant families and children to construct positive outcomes for belonging and participating in Aotearoa New Zealand, while sustaining and contributing important cultural aspects from their home country. Specifically, the project will focus on the affordances of children’s drawing, story-telling and play in providing opportunities for supporting belonging; and in art-based and play-based pedagogies in enabling teachers to engage with children, parents and whānau. Our understandings and strategies developed over the course of the study will be published in a resource package for teachers. 1. How can the people, places and practices in early childhood settings support a sense of bicultural belonging to Aotearoa New Zealand, and sustain children’s connections to homelands and people. i. Children to sustain connections with people and experiences from their home country? ii. Children to develop new connections in and sense of belonging with Aotearoa New Zealand? i. Enable a two-way exchange and mutual learning about culture? ii. Find out more about the knowledge and skills of children themselves? 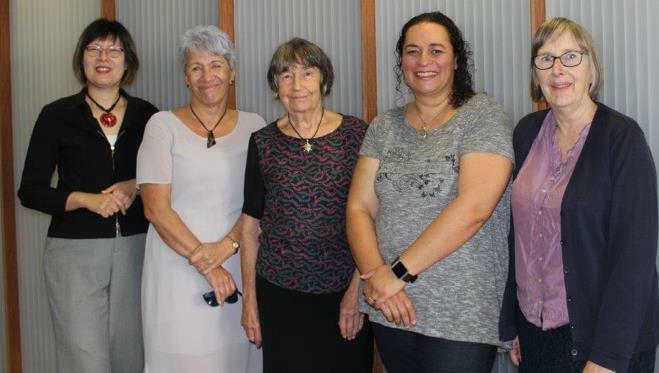 From a framework of ecological and sociocultural theory, the project will investigate pedagogical practices for constructing pathways to bicultural belonging in Aotearoa New Zealand. In 2016, UNICEF warned of the growing global crisis for refugee and immigrant children and of evidence that circumstances for a significant number are highly disadvantageous. Refugees are from countries where there has been war, ethnic, political or religious persecution, famine and poverty. Recent immigrants may lack social networks and support from family members. This project analyses the pedagogical role of ECE for refugee and immigrant belonging and participation in Aotearoa New Zealand, and the mutual benefits for all ECE participants in learning from each other. Two cycles of data collection, theory development and analysis will be undertaken in two kindergartens and two education and care centres that include refugee and immigrant children. Case studies of three children and families in each centre over 12 months to illuminate trajectories of belonging over time. We will use thematic analysis to identify, analyse and report themes within the data linked to each research question. Conversation analysis and membership categorisation analysis will be used to provide information about where teaching and learning experiences are promoted or hindered, and to detail how children refer to their belonging in everyday conversations. Early Years Research Centre, Faculty of Education, The University of Waikato, Private Bag 3105, Hamilton 3240.